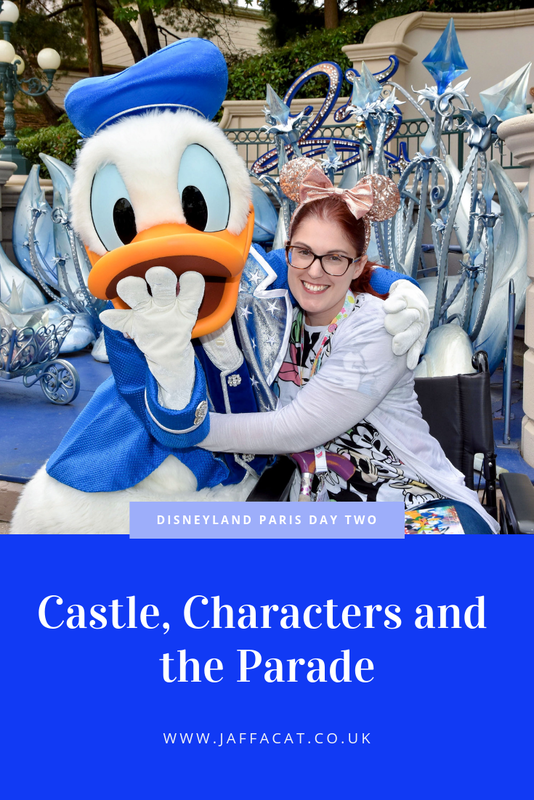 A couple of weeks ago, I shared what we got up to on our first day at Disneyland Paris, and today I’m back to tell you all about Day Two! 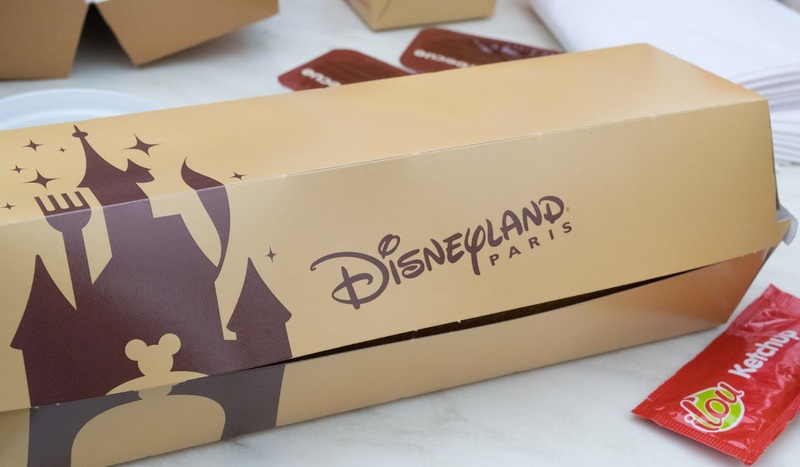 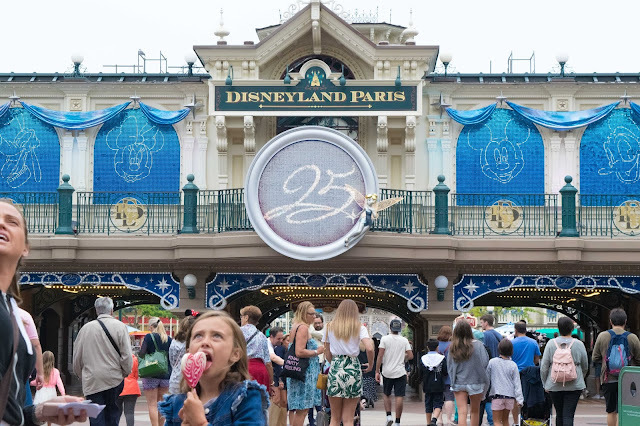 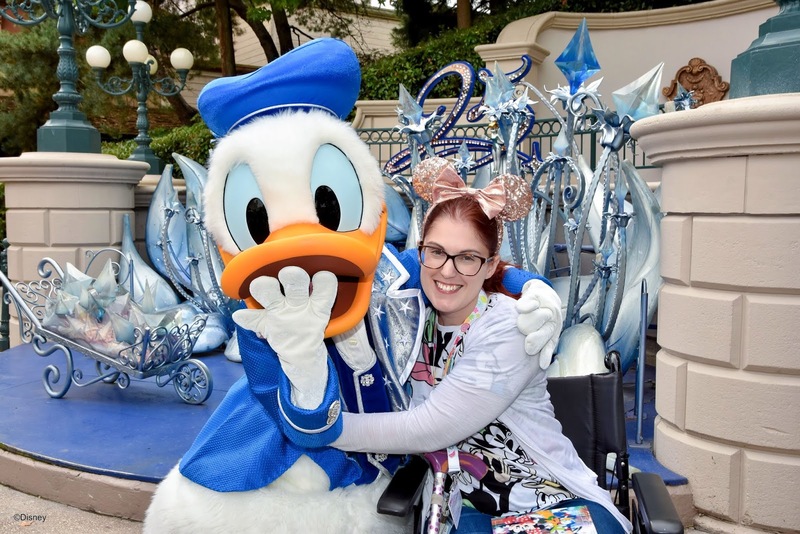 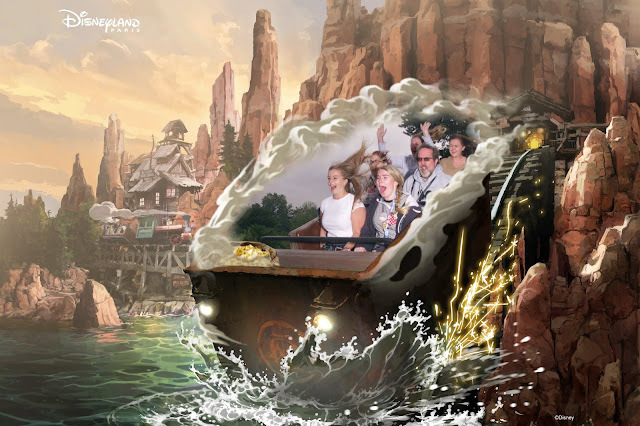 If you haven’t seen my first post, my family and I went to Disneyland Paris back in September 2018 to kick off my 30th Birthday celebrations. 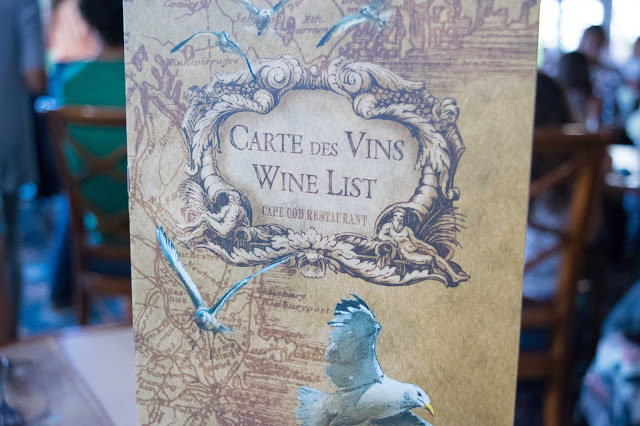 We took the Eurostar from St Pancras on the Monday and managed to fit in a delicious meal and a bit of sightseeing on our first afternoon. 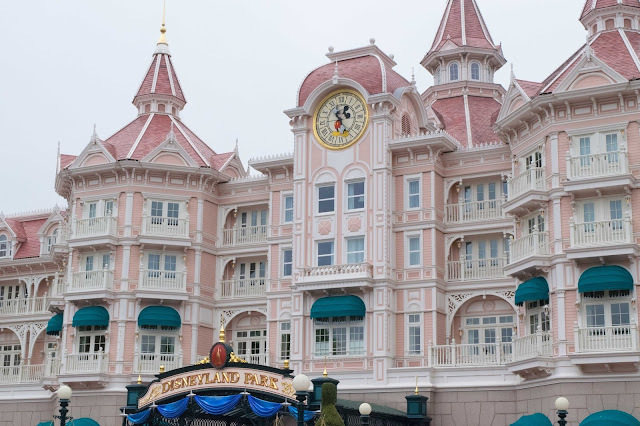 On Tuesday morning, we were all pretty exhausted after an early start the day before, so we didn’t get up particularly early. We started off by heading down to the Park Side Diner at our hotel (Hotel New York) for a buffet breakfast and filled ourselves up with croissants, pancakes, porridge, bacon, eggs and so much more! 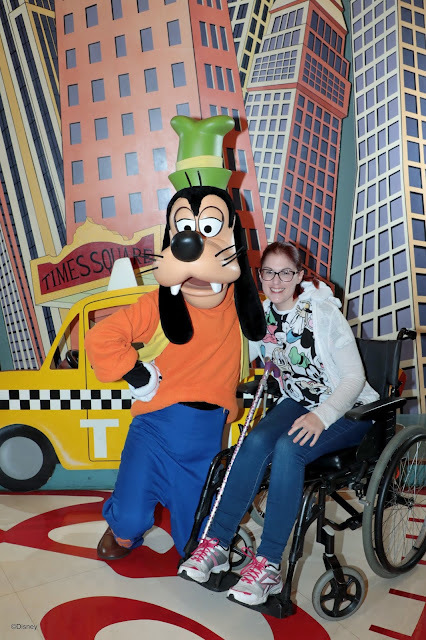 With full tummies, we came out of the diner and bumped straight into Goofy in the hotel lobby! 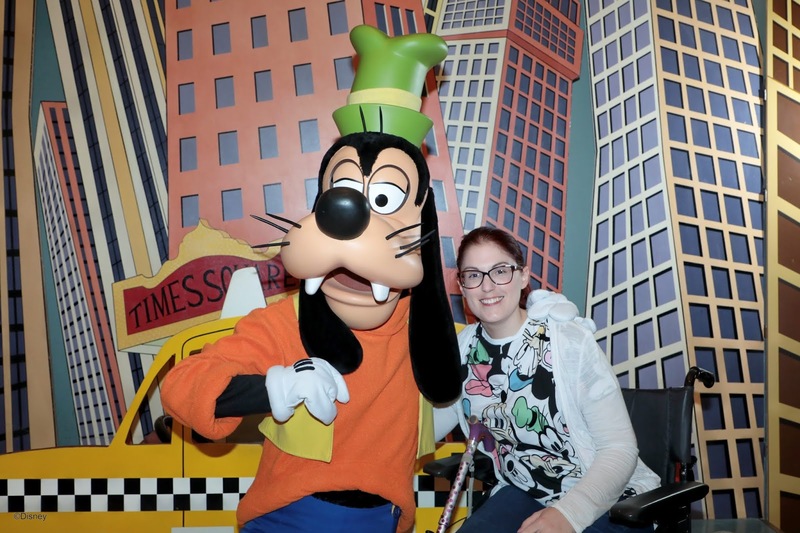 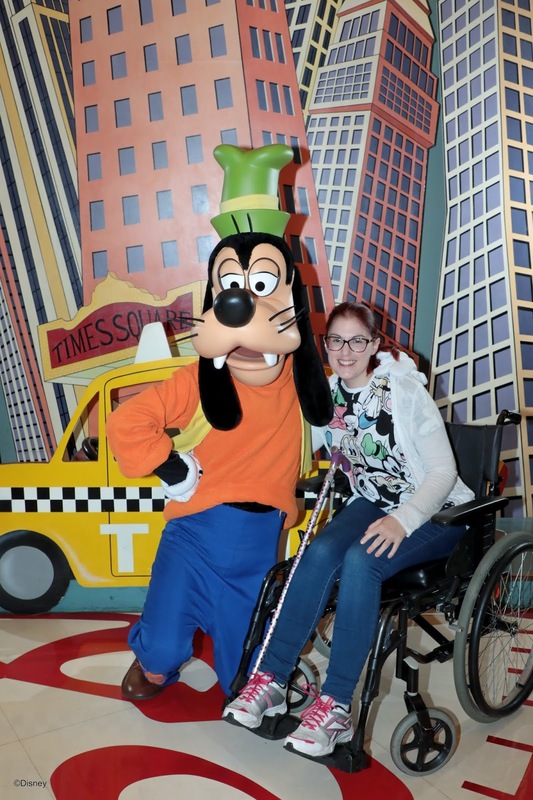 As we were on the later side, there was barely any queue to meet him (in the Disney Hotels, you are able to meet a different character each morning, which is worth doing before you head to the parks) so we made the most of not having to wait around and had our photos taken with him. 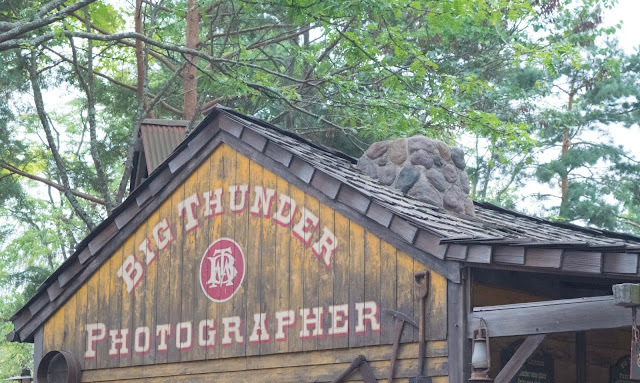 We had decided to buy a Photo Pass and I’m so glad we did because we got some brilliant character and ride photos throughout our holiday. 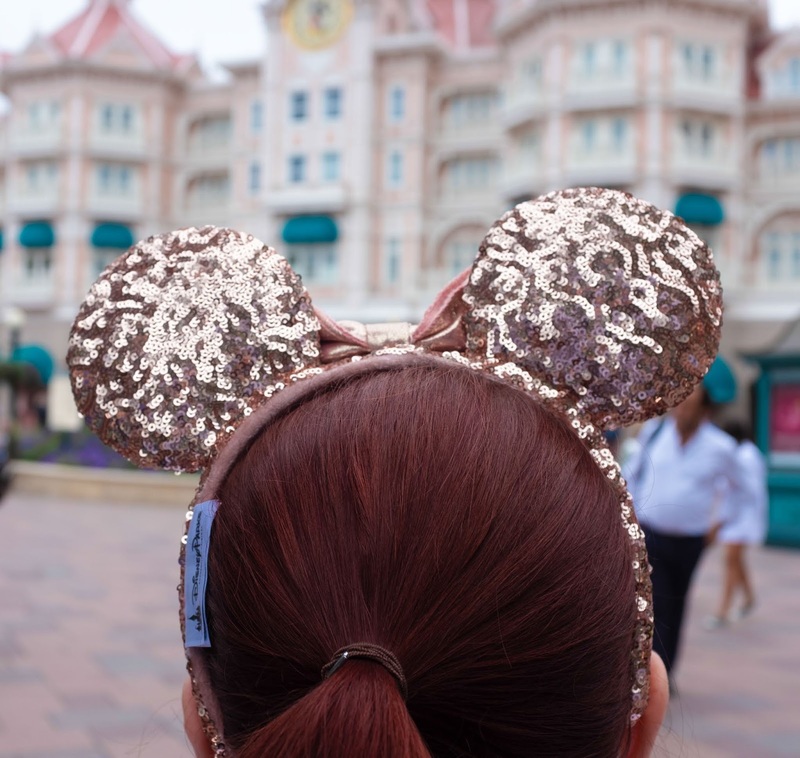 I then popped into the hotel shop so I could pick up some of the gorgeous rose gold sequin ears to wear around the parks. 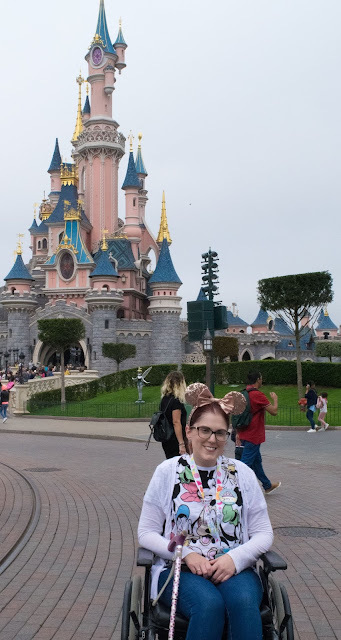 I also decided to get myself a lanyard to keep my Magic Pass and other bits in, and as I had a birthday badge on, the Cast Member working in the shop kindly gave me a present! So I was presented with a couple of cute key rings and an autograph book, which put a massive smile on my face. Pixie Dust (which is another name for kind magical gestures from Cast Members) is something that I saw happening around the parks throughout my time at Disney, and it really does make your stay that bit more magical. 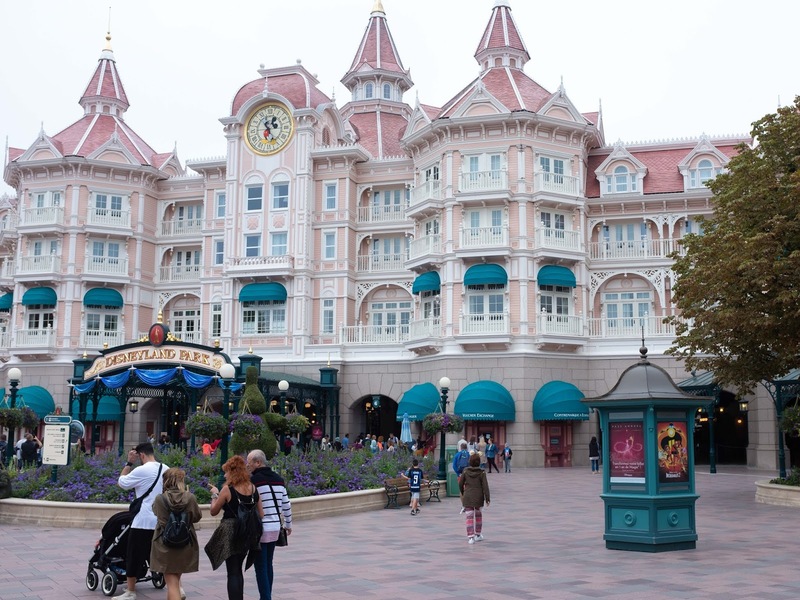 Then it was time to make our way to the Disneyland Park. 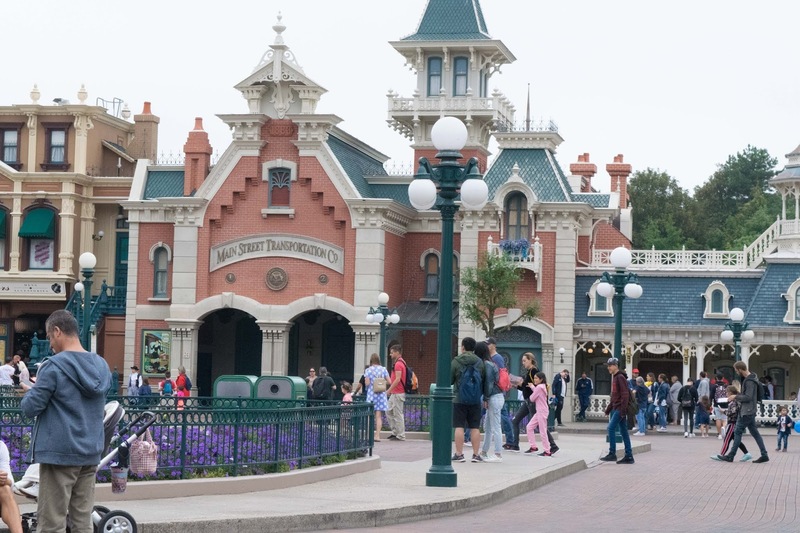 Going through the entrance and walking down Main Street, you see the Castle for the first time, and it truly is magical. I couldn’t help but smile and feel excited at finally being back in Disneyland – you’re surrounded by excited children (and adults! 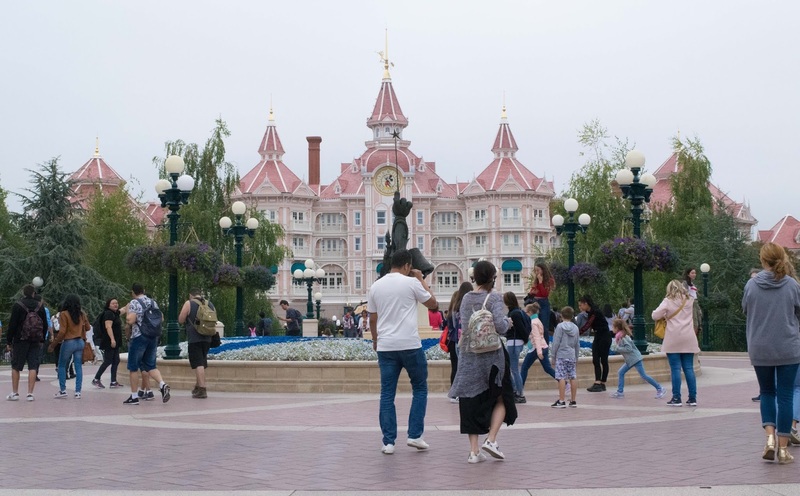 ), upbeat music playing wherever you go and the sight of the pastel pink Sleeping Beauty Castle in the distance. 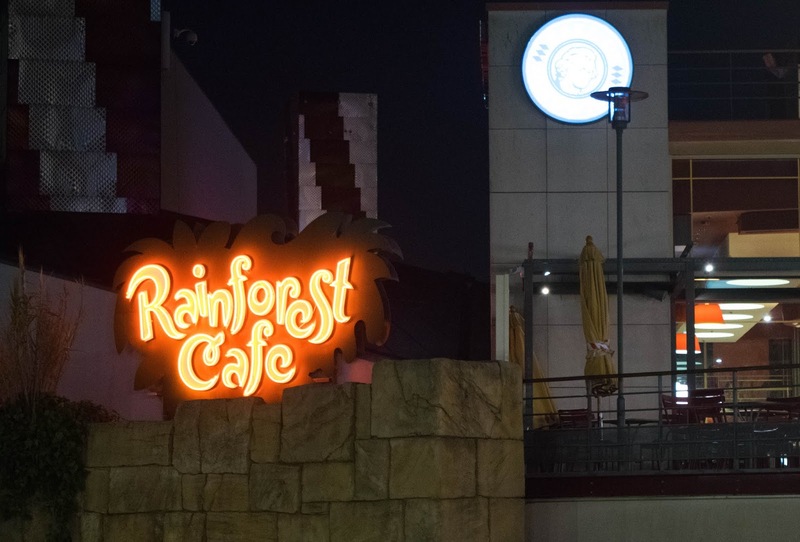 I just felt like I was home! 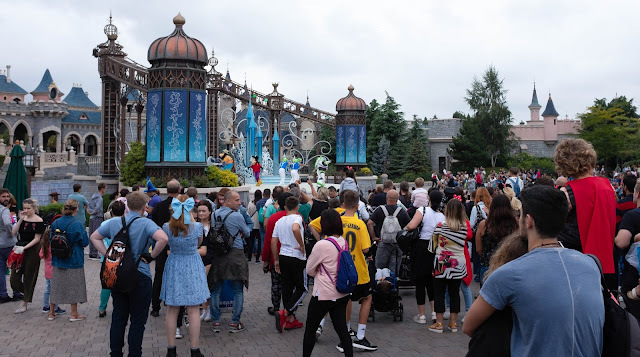 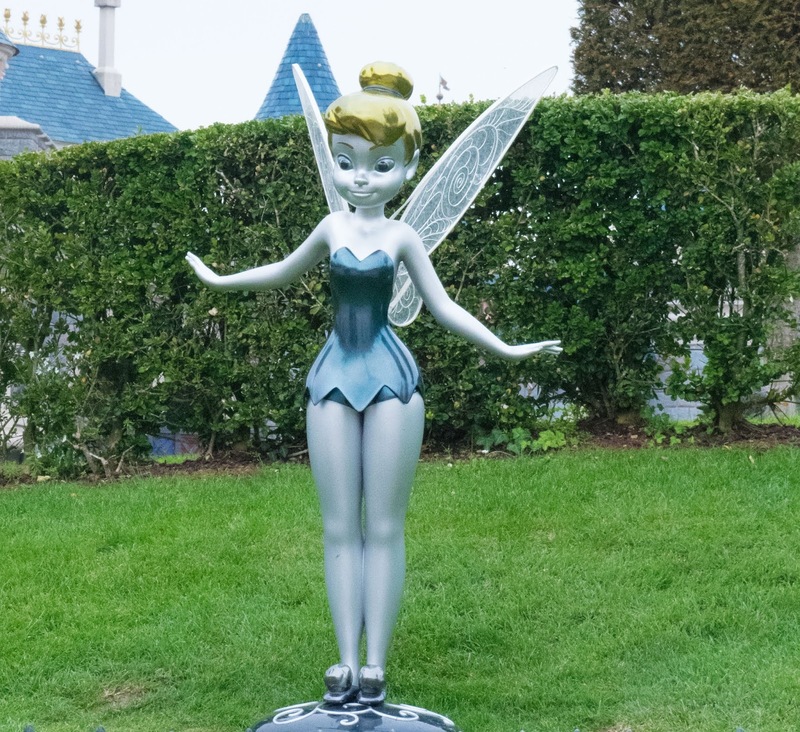 When we went, Disneyland Paris was just coming to the end of their 25th Anniversary celebrations, so there were lots of beautiful blue and silver decorations everywhere, which I’m really glad we got to see. 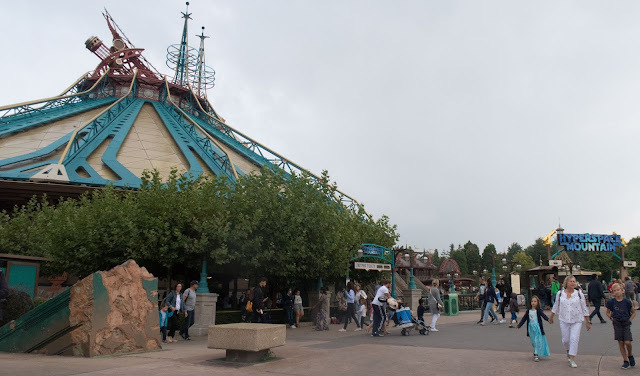 The last time we went, they were celebrating their 15th Anniversary, so it was quite fun seeing things ten years on! 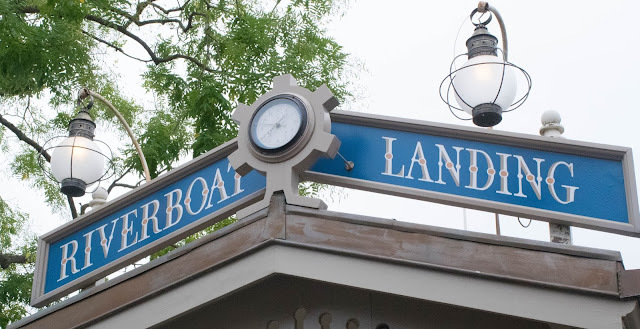 I only hope I can make it back sooner next time, and don’t have to wait another ten years! 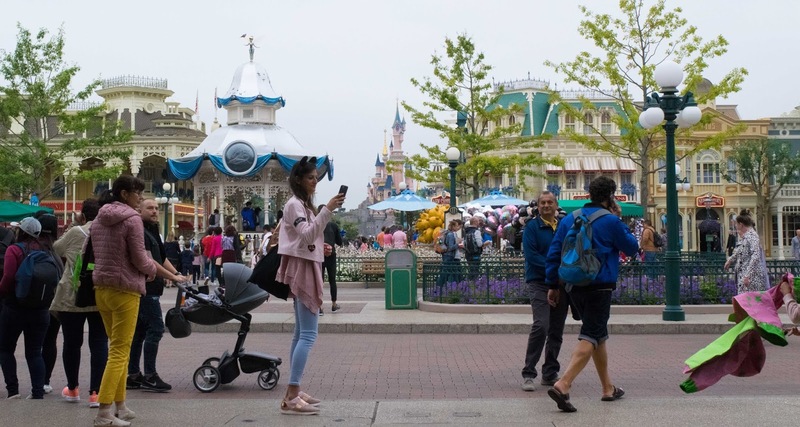 If you’ve never been to Disneyland Paris before, there are two parks (Disneyland and the Studios) plus the Disney Village. 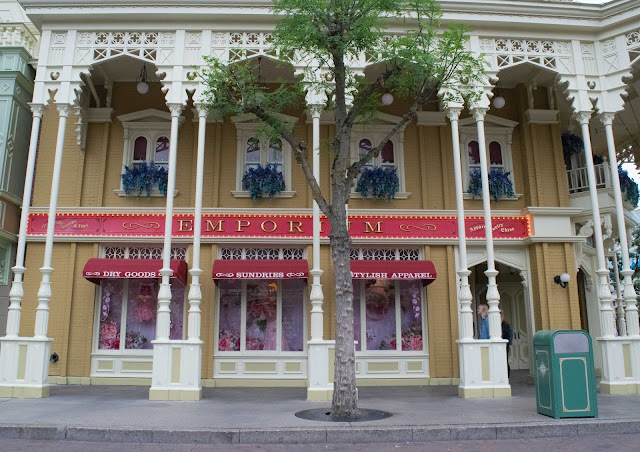 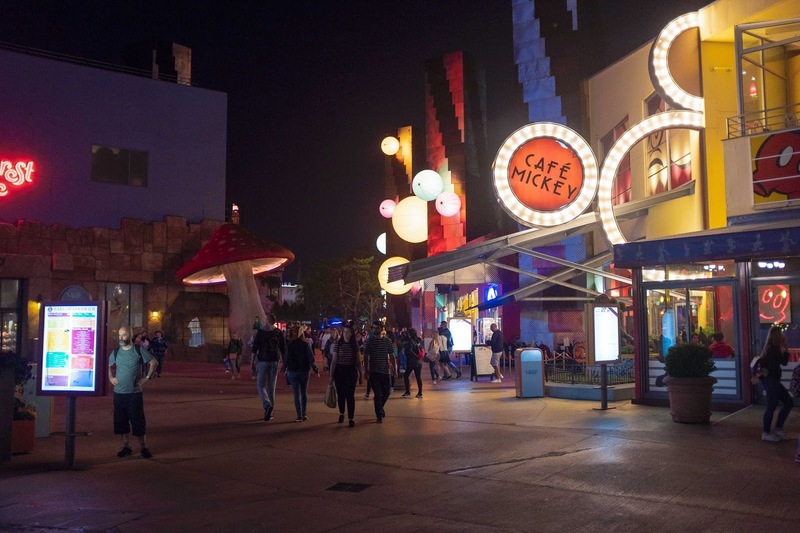 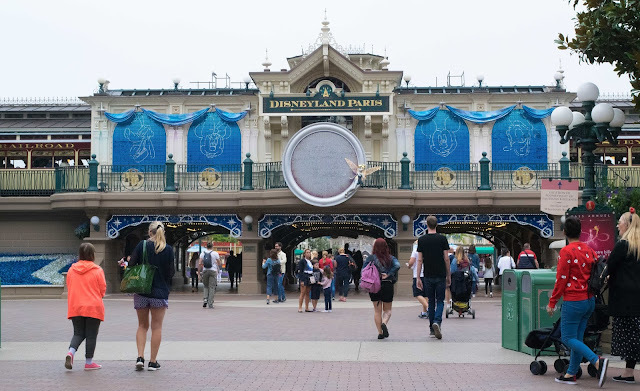 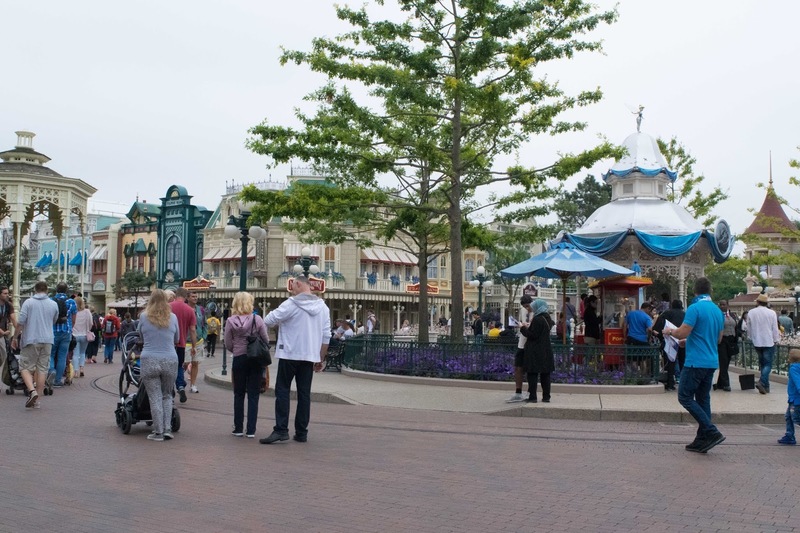 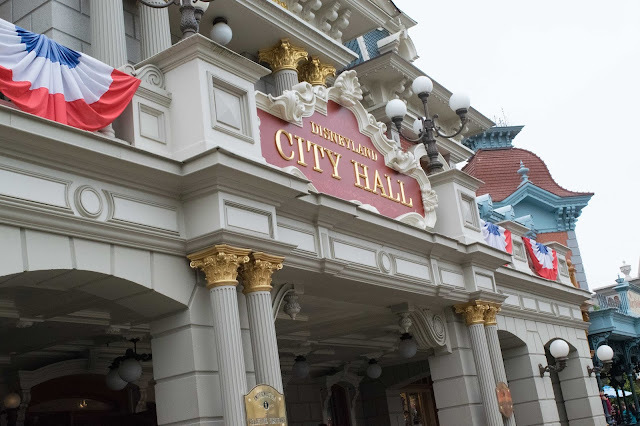 Then within the Disneyland Park, there are five areas to explore (including Main Street). 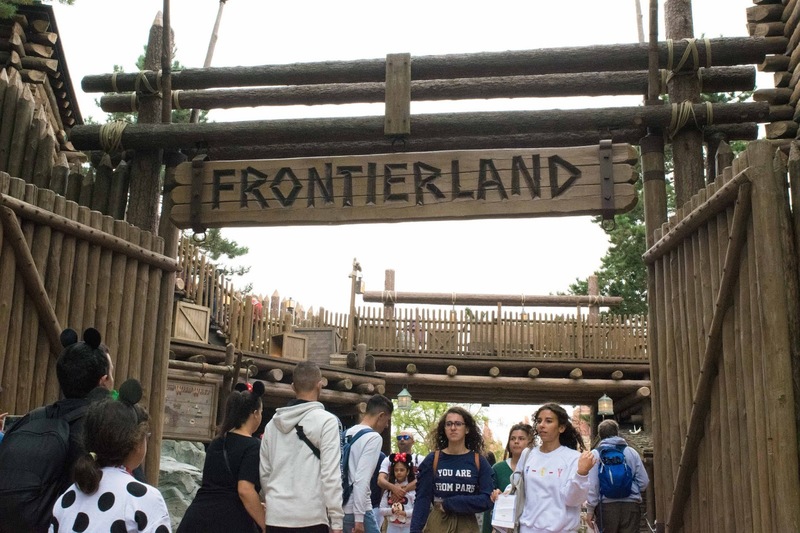 We decided to start with Frontierland, as my Dad wanted to go on the Thunder Mesa Riverboat Landing. 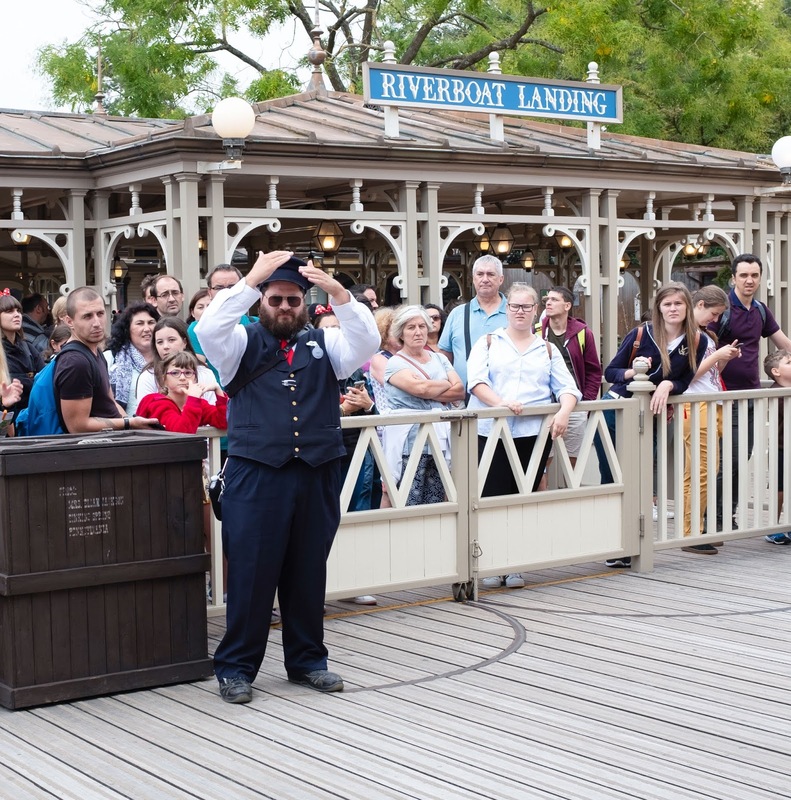 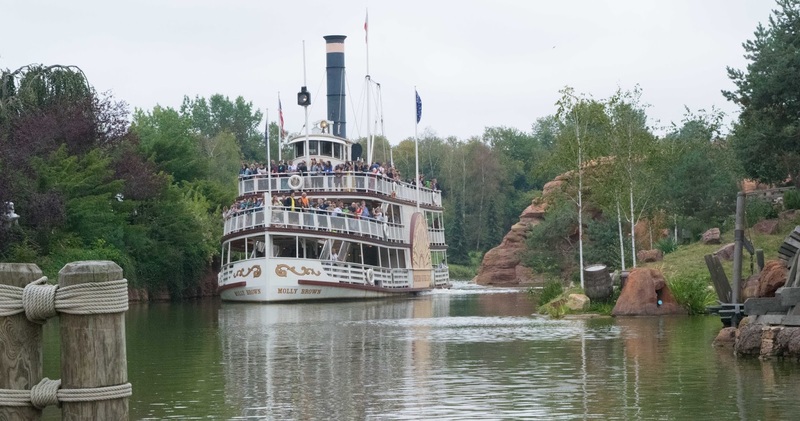 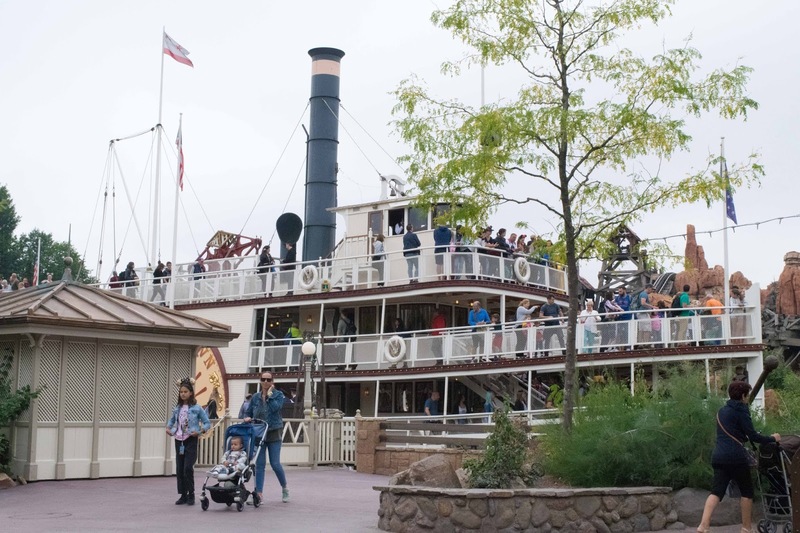 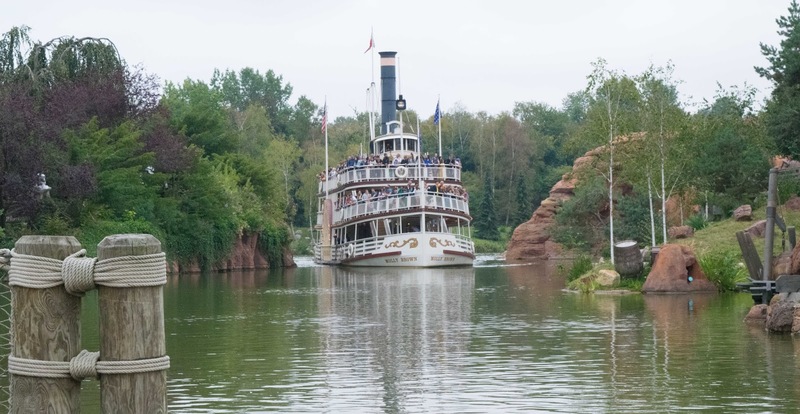 I think I would probably call this an attraction rather than a ride, but you can get on board an old paddle steamer and enjoy a leisurely riverboat ride around the best of the Old West. 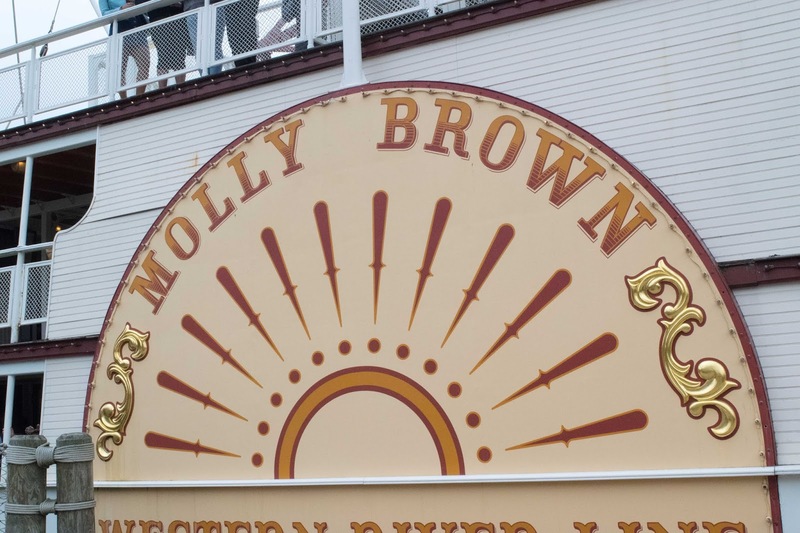 There are two 19th Century-style paddleboats, Mark Twain and Molly Brown (we were on the latter). 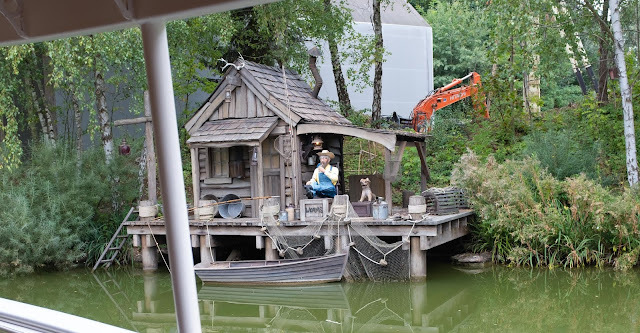 As we made our way around Wilderness Island (where Big Thunder Mountain is) we saw smugglers caves, waterfalls and even a man sitting on the porch of his house with his dog. Getting on and off the boat in my wheelchair was incredibly simple – we were given priority boarding as we had a Green Pass and there were no issues with steps between the boat and the land. 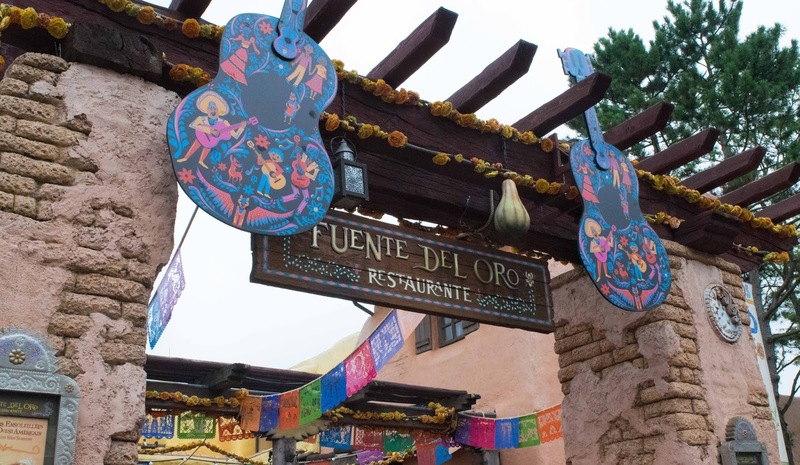 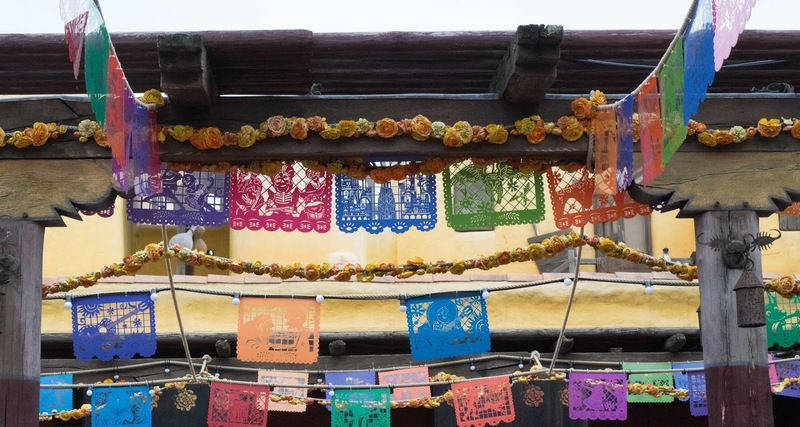 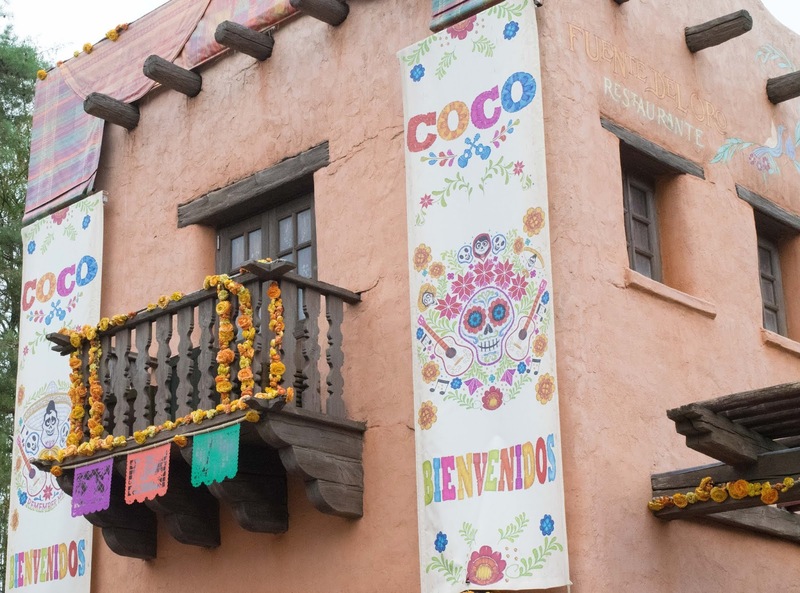 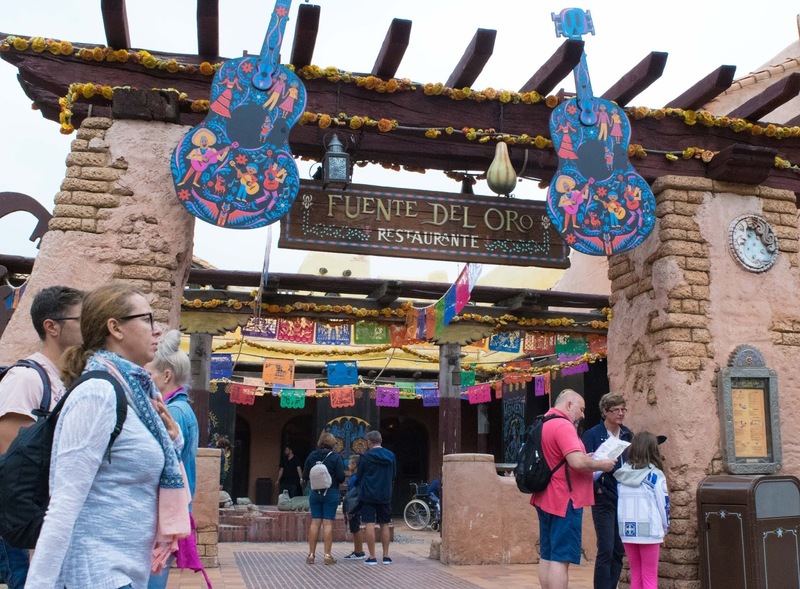 After leaving the boat, we looked around Frontierland a bit more and walked past the Fuente Del Oro Restaurant, which serves Mexican specialities and is themed around the movie Coco. 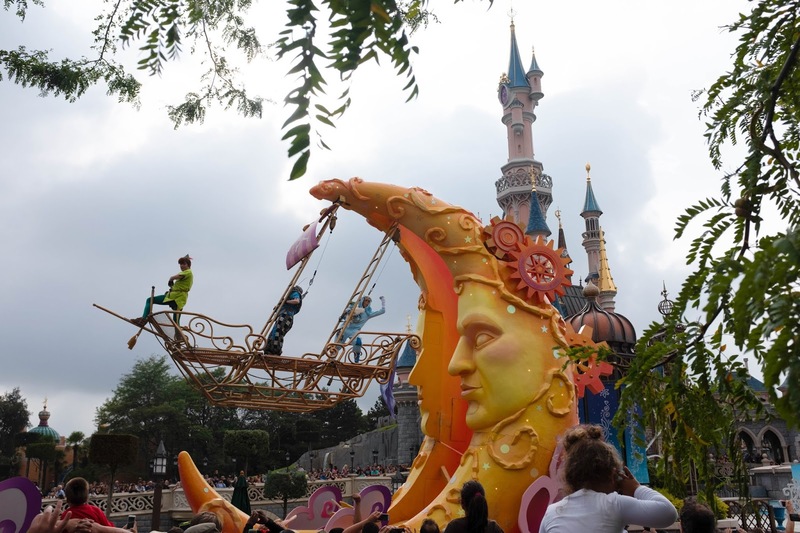 It looks so pretty and colourful outside with bunting and decorated guitar cut outs. We didn’t get a chance to go inside or try any food from there, but the theming certainly looked authentic from the outside. 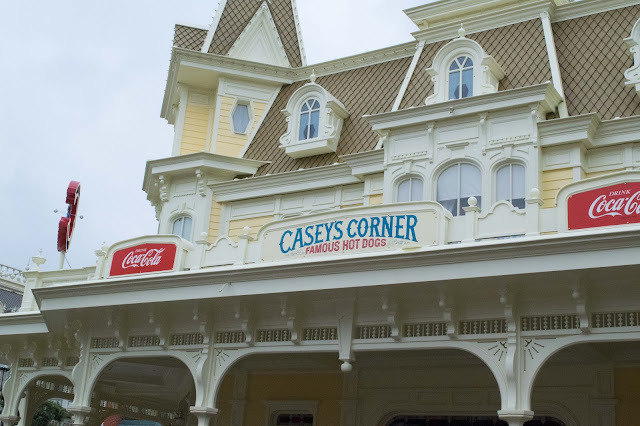 My two sisters had gone off to do their own thing, but as lunchtime was approaching we met back up with them at Casey’s Corner at the bottom of Main Street. 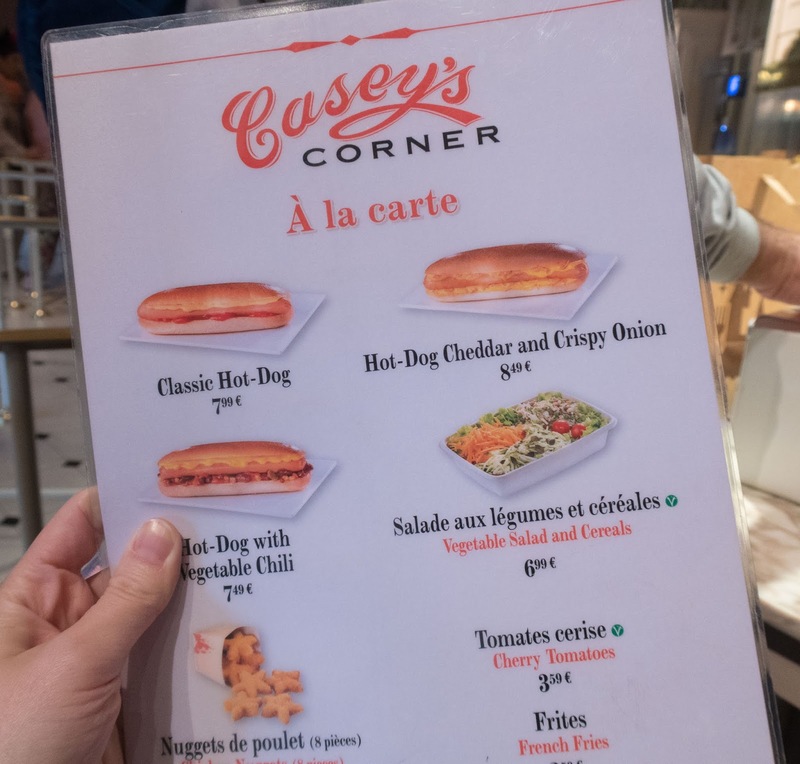 Like I said in my last post, I won’t go into food too much in these posts because I think I will do a separate food-related blog post, but Casey’s Corner is a counter service American diner serving mainly hot dogs. 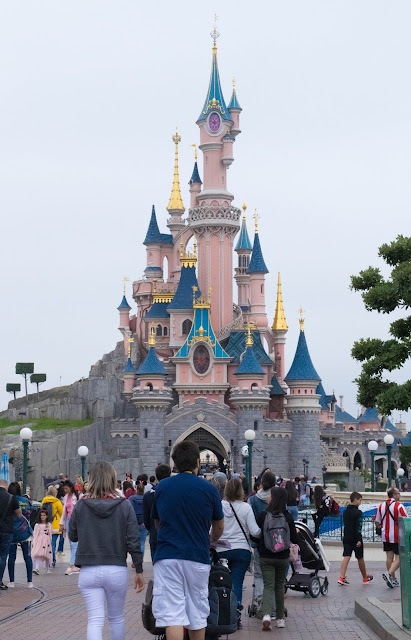 Although it was pretty busy, we managed to find a great table outside, right next to where Donald Duck was meeting people and with a lovely view of the Castle. 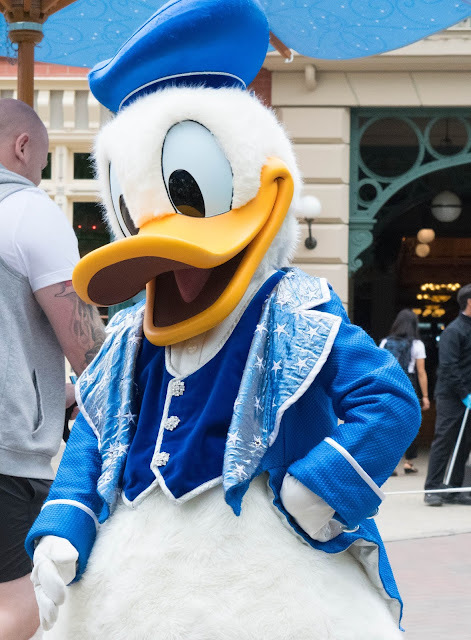 As we were right next to Donald, once we’d finished our lunch, my Mum and I decided to queue up to get a photo with him. If you have a Green Pass, you can book a time slot to meet some characters so you don’t have to queue, but we found by lunchtime all the time slots had been booked already. 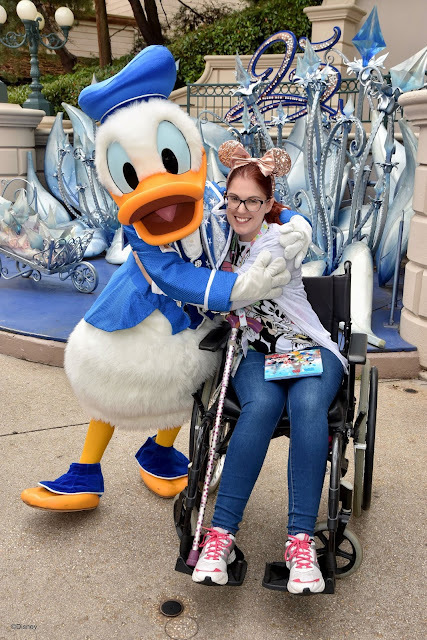 It was quite a long queue to meet Donald, but thankfully it didn’t take too long to get to the front and the interaction was definitely worth it. 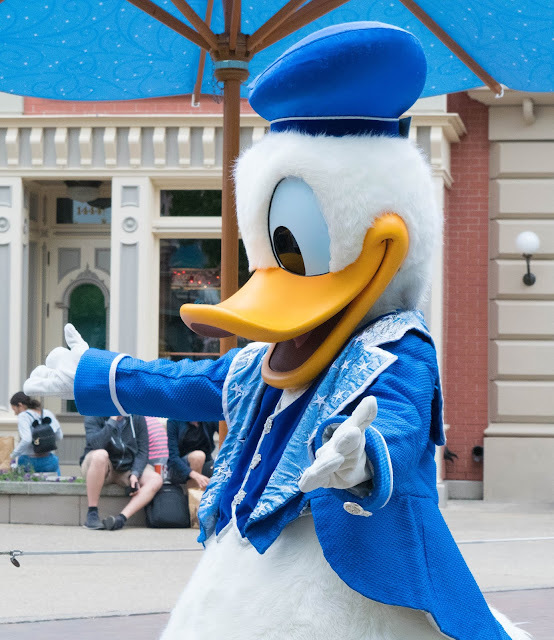 I would say Donald is one of the funniest characters to meet (he is very competitive with Mickey and friends!) 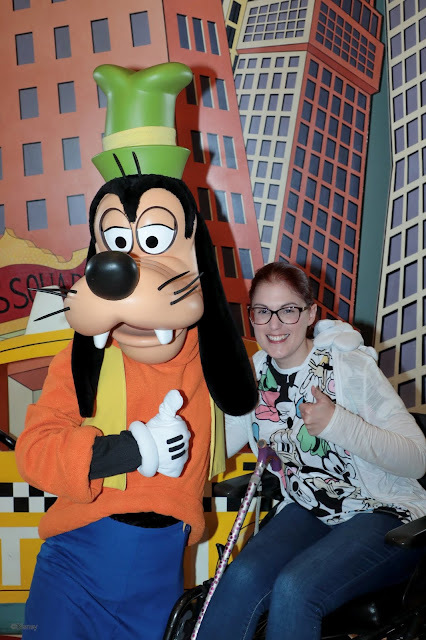 and I was so pleased with the photos we got together. While we were queuing for Donald, my Dad went off for a walk and caught the end of a show on the Castle Stage. It’s one of the things I wish we had found time for while we were there, as I’d heard good things about the show. Now that our lunch had gone down, it was time to do a few proper rides. 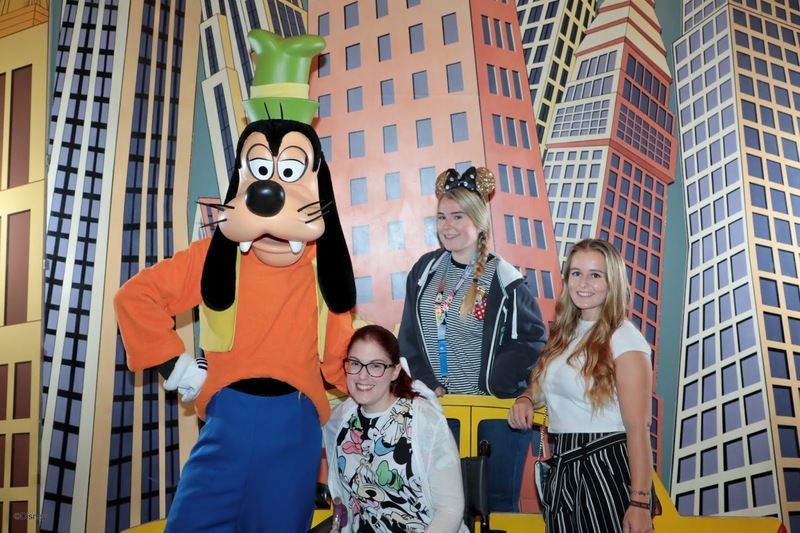 The first one we were all desperate to do (well, myself, Rosiie and Bekkah anyway!) was Big Thunder Mountain, and we managed to get my Dad on it as well. 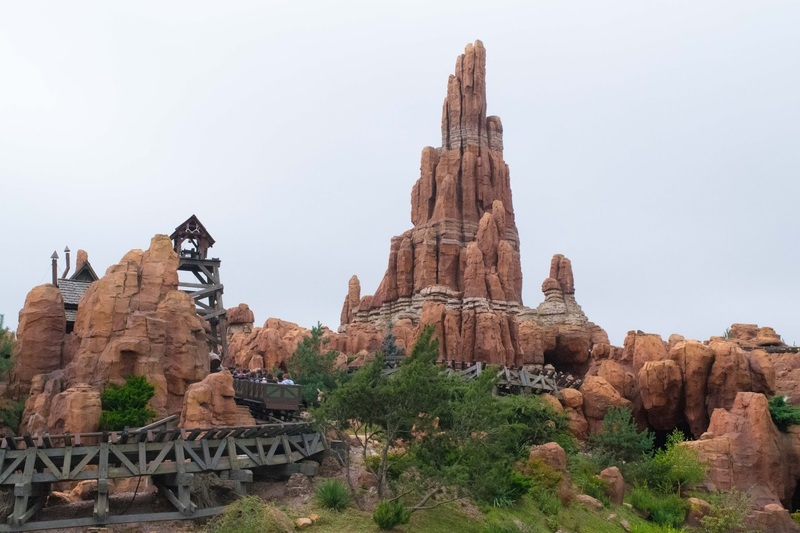 Big Thunder Mountain is one of my favourite rides at Disney, although my Dad wasn’t quite so enthusiastic when we got off! 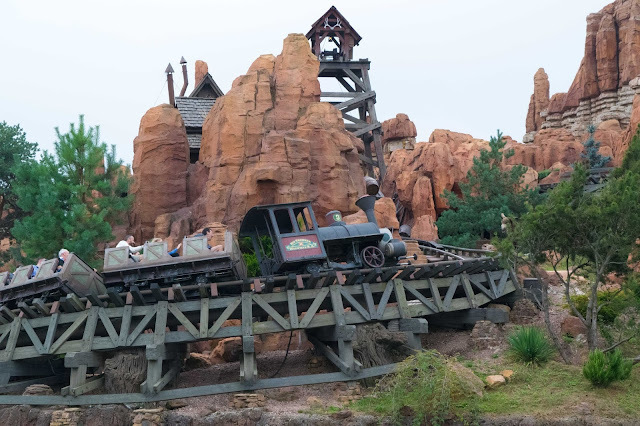 For some reason, he hadn’t realised it was a proper rollercoaster – I did question how he hadn’t realised when you can clearly see the ride from the outside! But anyway, Rosiie, Bekkah and I absolutely loved it, and we got a great photo to remind us of our ride! 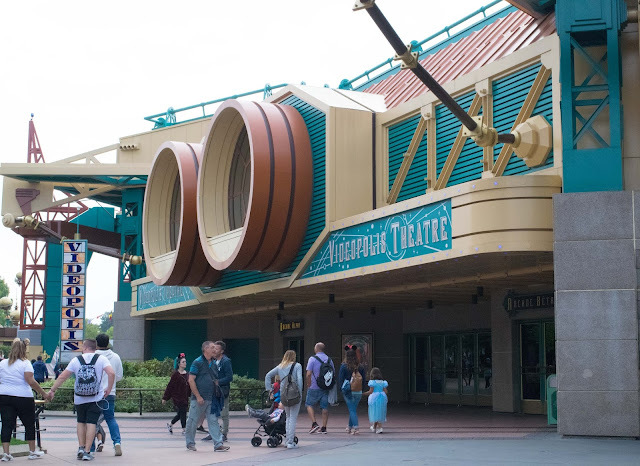 We then made our way across the park to Discoveryland to ride another favourite of ours – Buzz Lightyear Laser Blast. 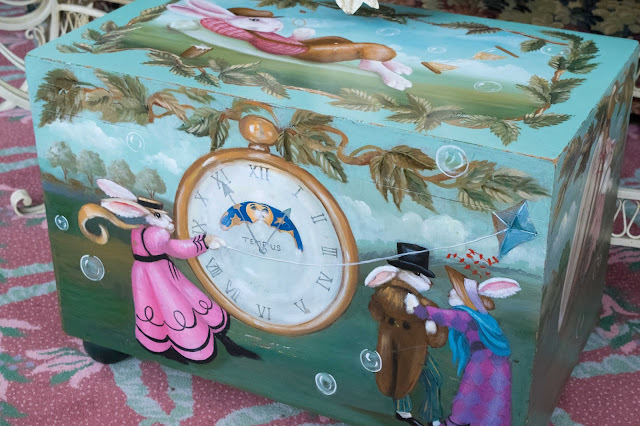 This is one that the whole family could enjoy. As Junior Space Rangers; we were transported into space where we had to fire lasers to stop Zurg and score points. 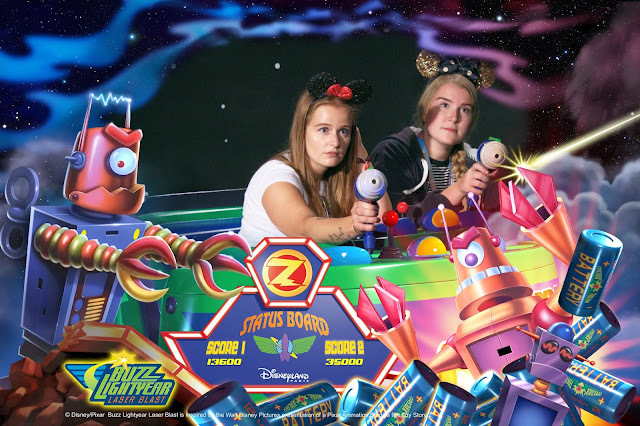 We all got quite competitive on this one and were obviously very focussed, which showed when we got our photos at the end! As we were in Discoveryland, we thought it would be a good idea to do Star Tours: The Adventures Continue. 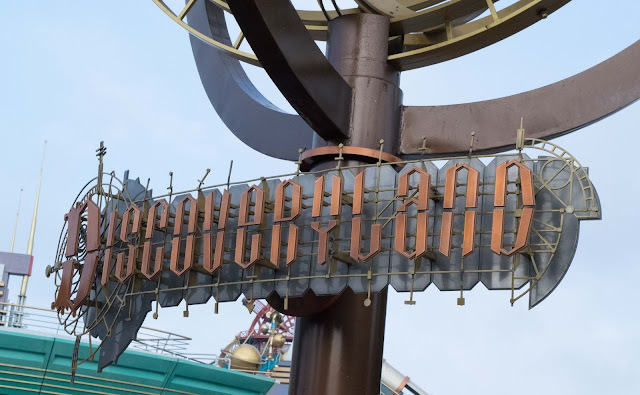 I remembered going on it ten years ago and thinking it was really good, so we were quite excited to ride it again. 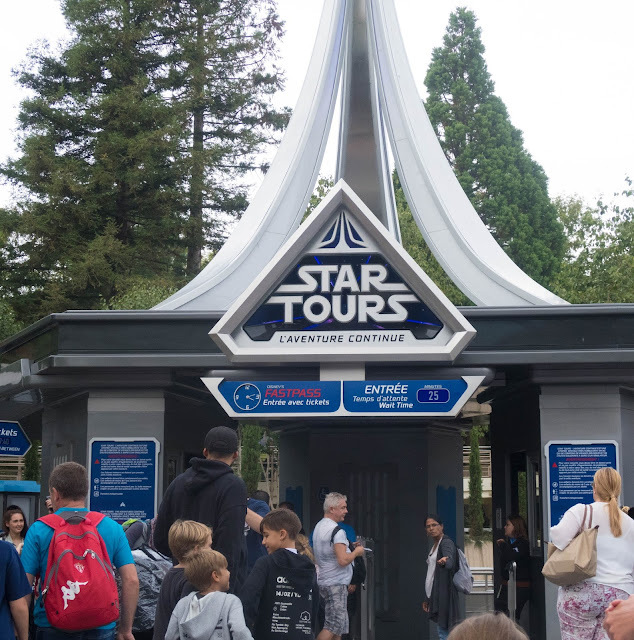 It’s a simulator loaded with state-of-the-art technology – you wear 3D glasses and are taken on a voyage through space, war-torn worlds and even make it onto the Death Star. 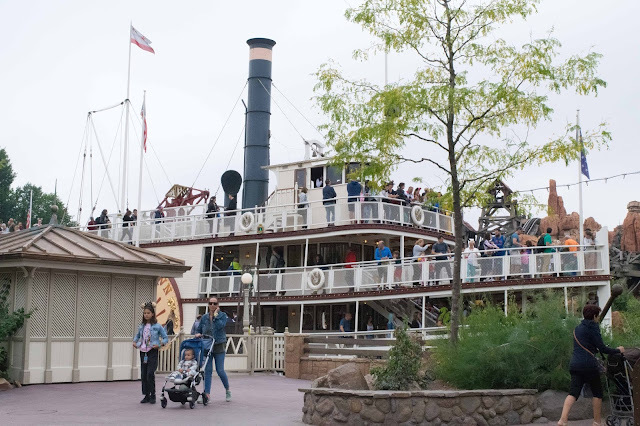 However, what we failed to notice was the warning that it wasn’t suitable for people who suffer from motion sickness. 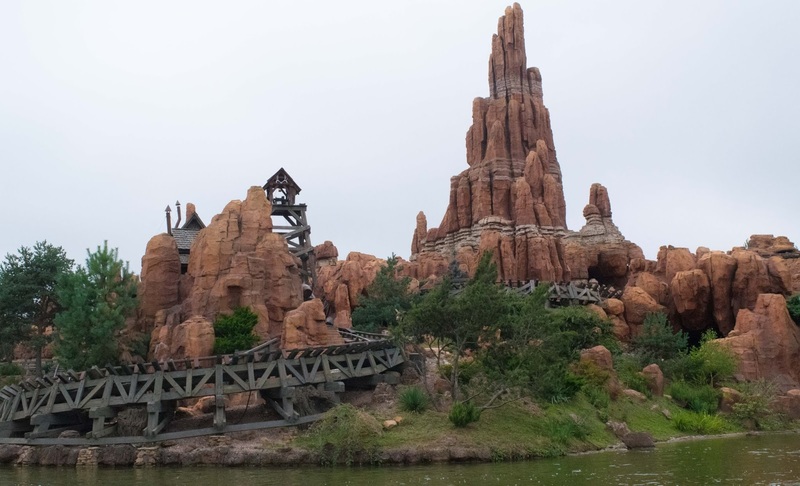 I’m pretty sure it’s been changed quite a lot since I last rode it, as this time all three of us (my Dad, Bekkah and I) felt incredibly ill during the ride. 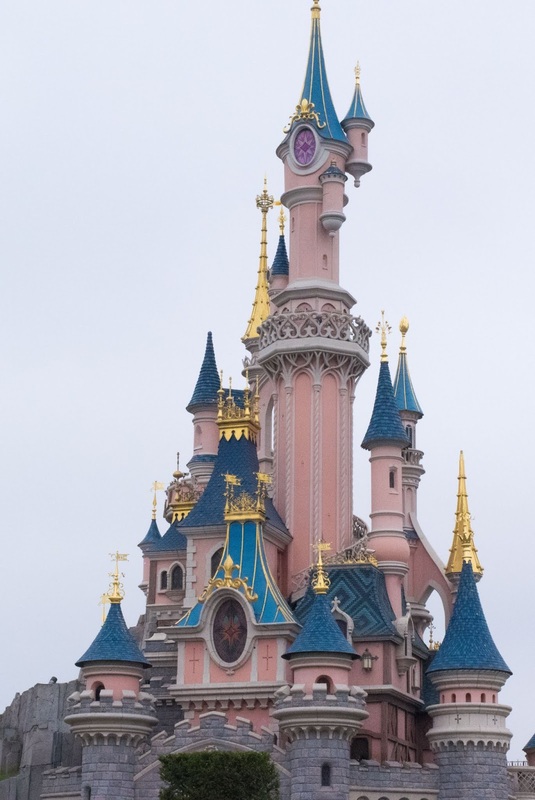 I remember looking over to my Dad, who had his eyes shut, head down and was looking decidedly green! It couldn’t be over quick enough, and we were all very relived when we could get out and be back on stable land! 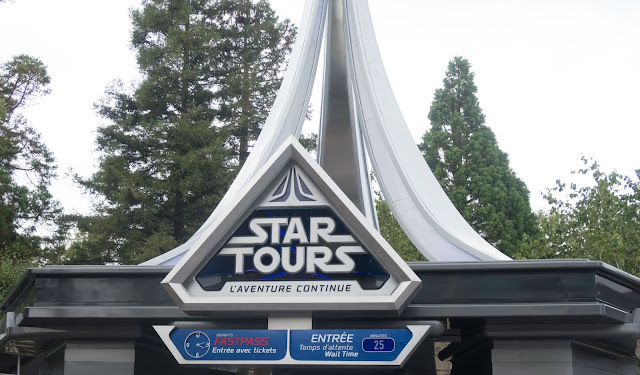 I’m sure it’s a brilliant ride for those who can cope with the movement and visuals, but unfortunately it wasn’t for us. 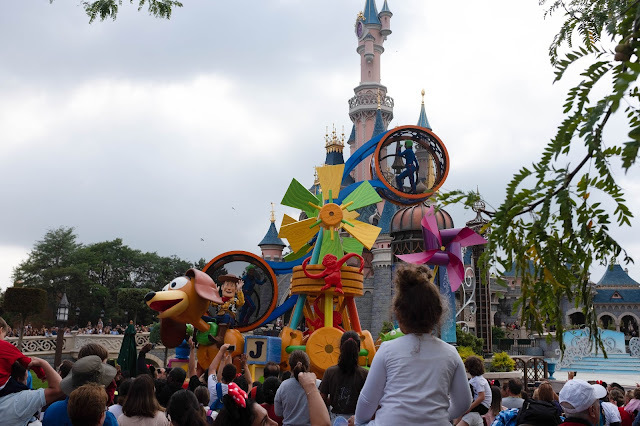 We all needed some time to recover, so we went back towards the castle to find a space to watch the parade. 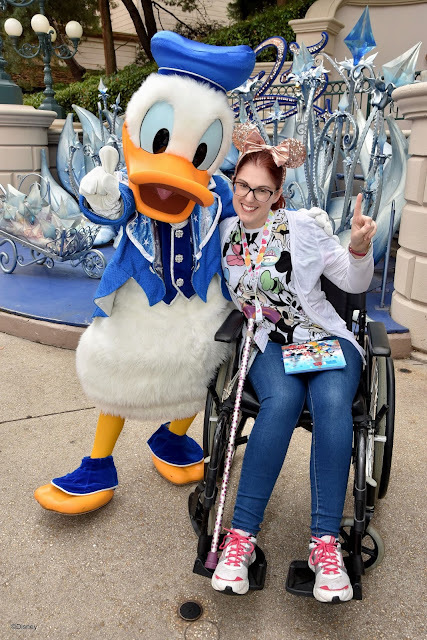 With my Green Pass, myself and two others could go in the disabled area – if you’re going to be using this, I would recommend getting there early, as we got there about half an hour before the parade and it was already filling up. 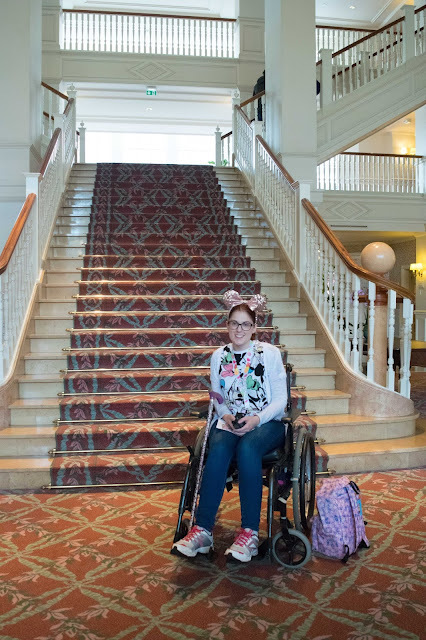 Thankfully I was able to get my wheelchair quite close to the front, but those further back, especially in wheelchairs, would have had difficulty seeing everything. 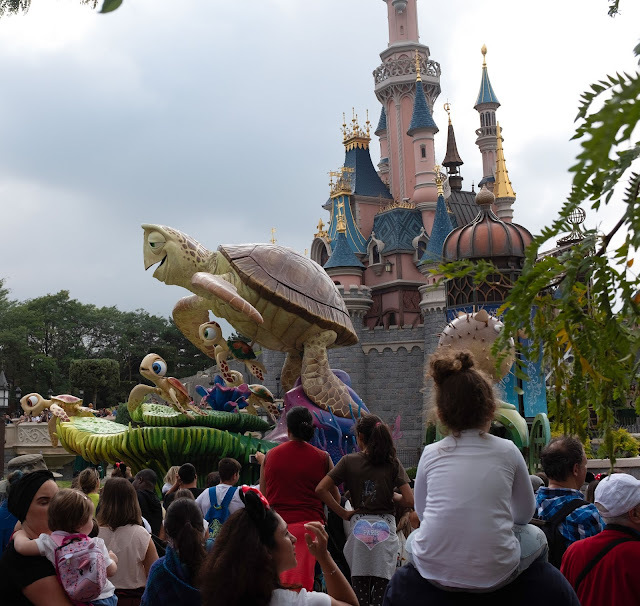 I decided to film the parade this time, although my Dad took a few photos from further back. But I would say it’s well worth watching the parade at least once during your stay. 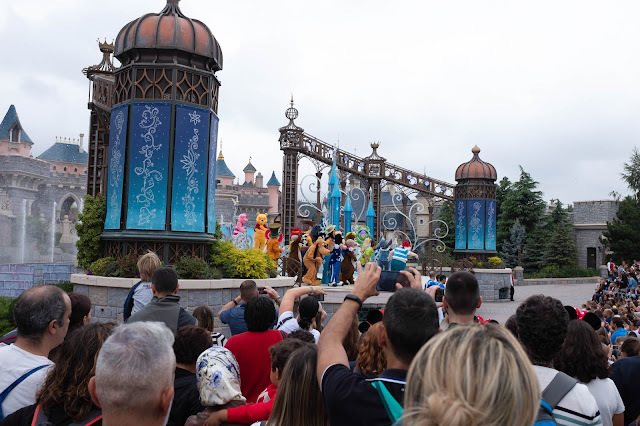 As it was a Tuesday, they have a guest star come out before the main parade starts, and we were lucky enough to see Bolt, which I was quite excited about. 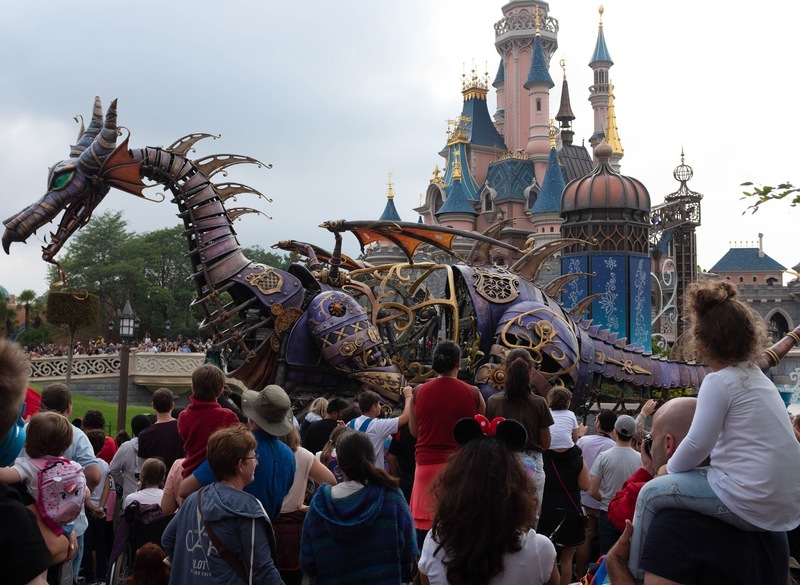 The rest of the parade was brilliant – the music, dancing, costumes and special effects were just amazing and the audience were really getting into it. 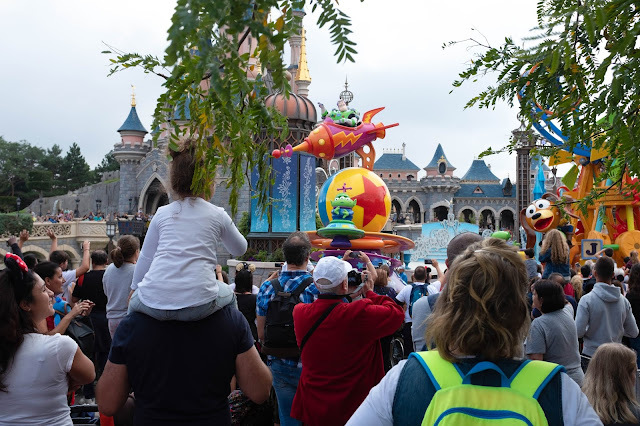 If you’d like to see photos from the parade, I took some later on in the week, so keep your eyes peeled for that blog post. By this point we were all feeling pretty exhausted, so we decided to head back to our hotel room for a bit of a rest before dinner. 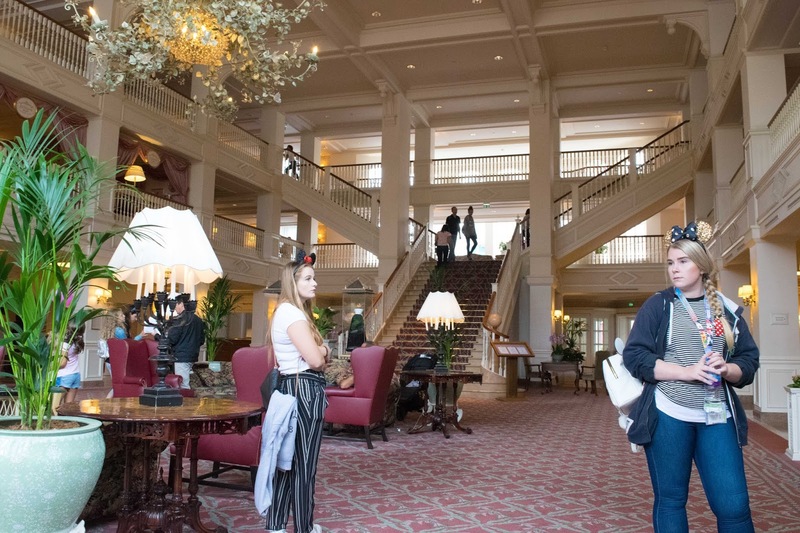 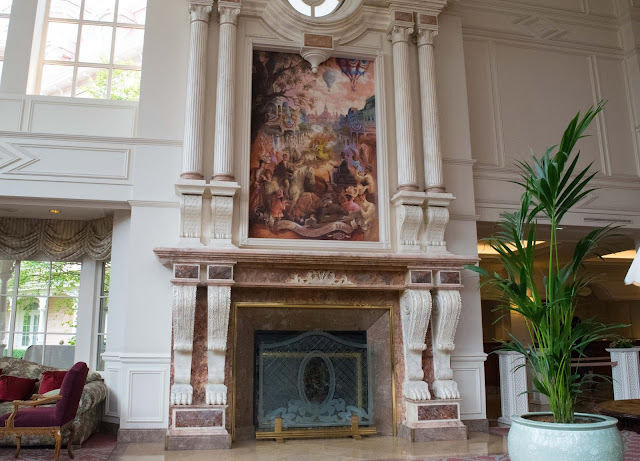 On our way back, we popped into the Disneyland Hotel for a quick look around the lobby – oh my goodness, it is such a beautiful hotel (and it smells amazing too!) 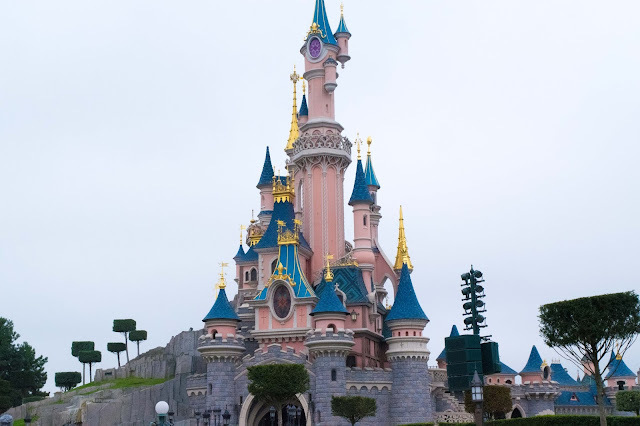 It’s definitely on my bucket list to stay there one day, as it really is spectacular. 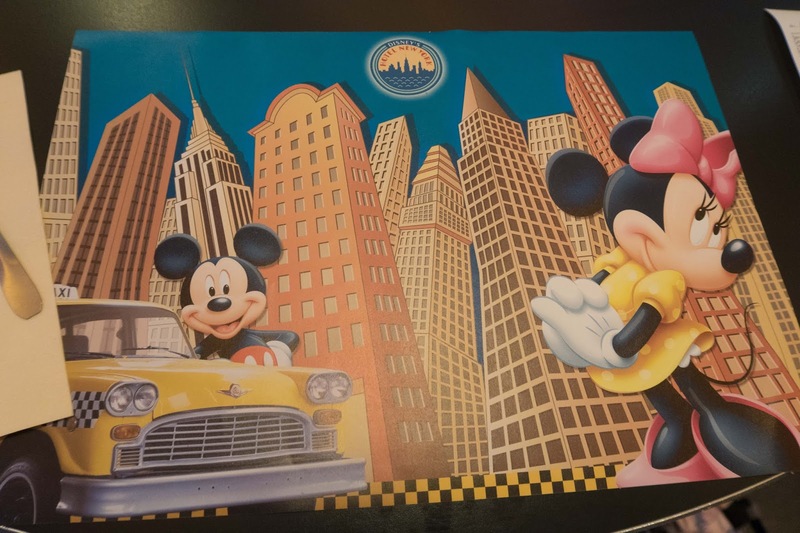 After a bit of down time in our hotel room, it was time for dinner. 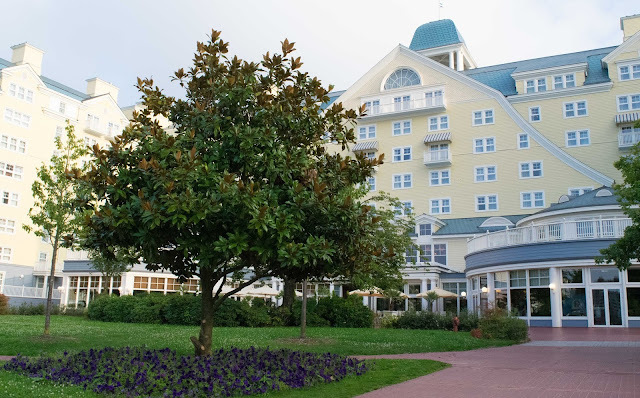 We had booked to eat in Cape Cod, which is the restaurant in the Newport Bay Hotel, so we headed past the lake to the hotel opposite ours. 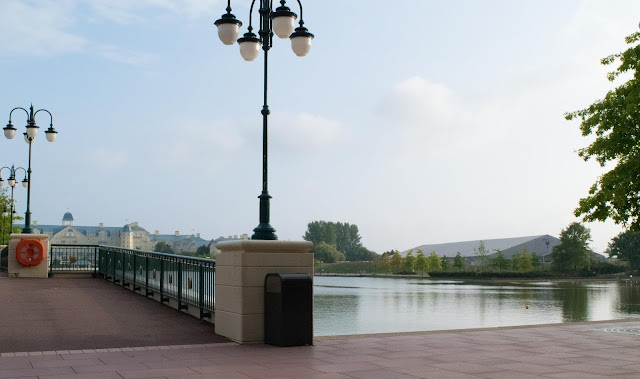 You could see the big balloon reflecting on the water as the sun set and considering you are in a huge theme park, down by the lake it is really peaceful – a perfect place to relax if you need a bit of a break from the hustle and bustle of the parks. 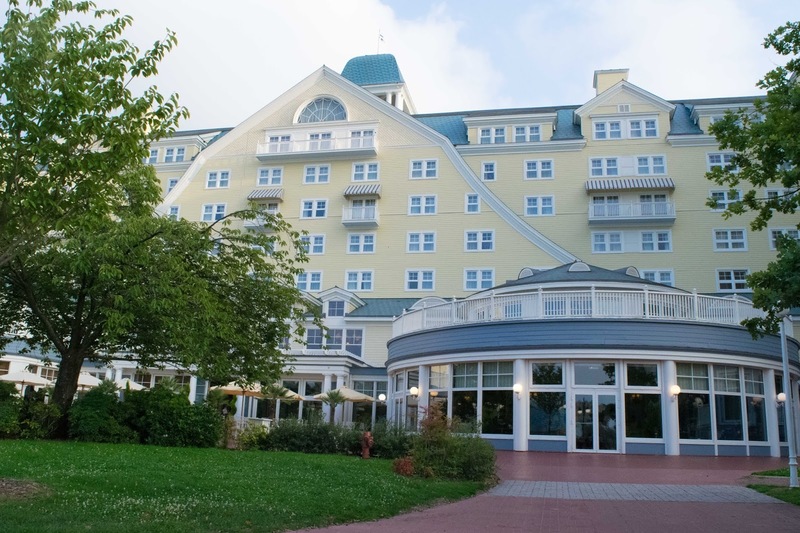 Cape Cod is a buffet with an International menu and there really is something for everyone. 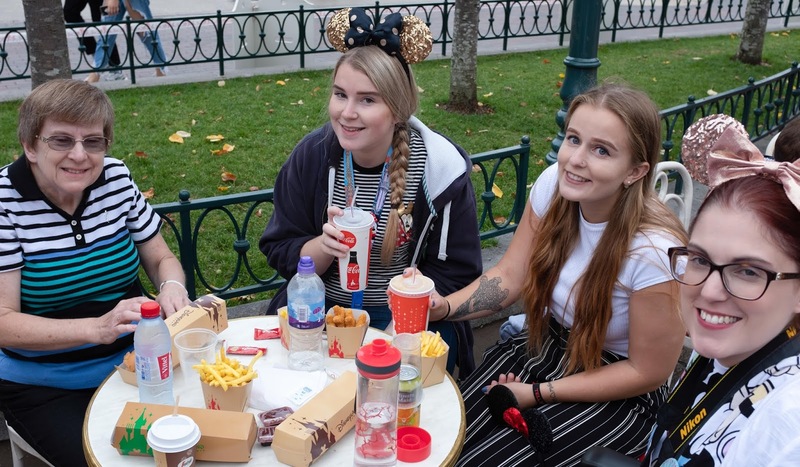 We were a bit worried, as we aren’t all the most adventurous eaters, but there was plenty to choose from to suit everyone’s tastes. 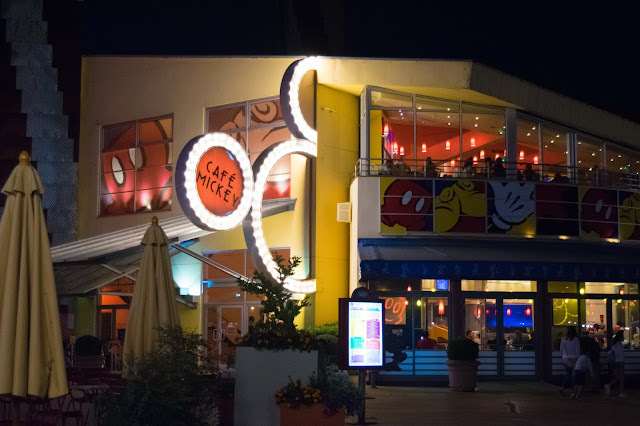 By the time we’d finished eating it was dark, and as we made our way outside we could hear the fireworks by the Castle. 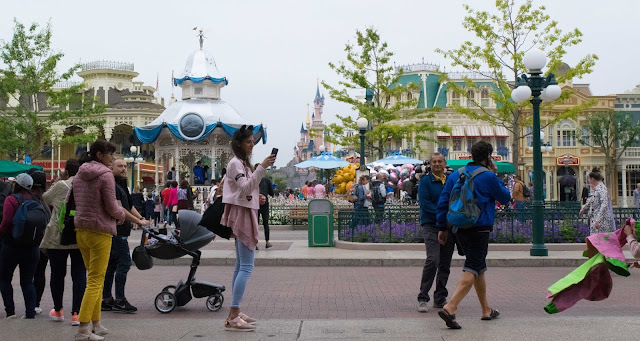 The others decided to go back to the hotel, but my Mum and I thought it would be a good time to go and have a look around the World of Disney shop while everyone was watching the fireworks. 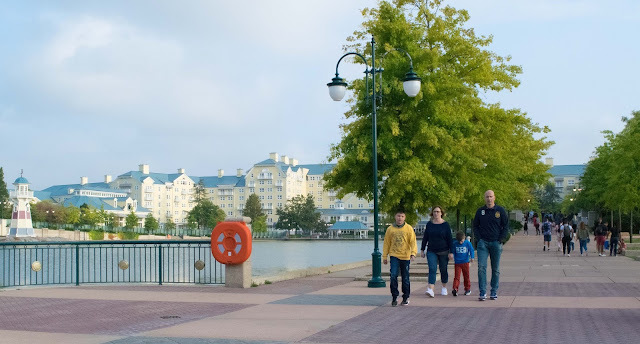 Unfortunately, we were slightly later than we’d realised, so just as we entered the Disney Village, the fireworks had finished and everyone was coming through the Village to either shop, eat or go back to their hotels. 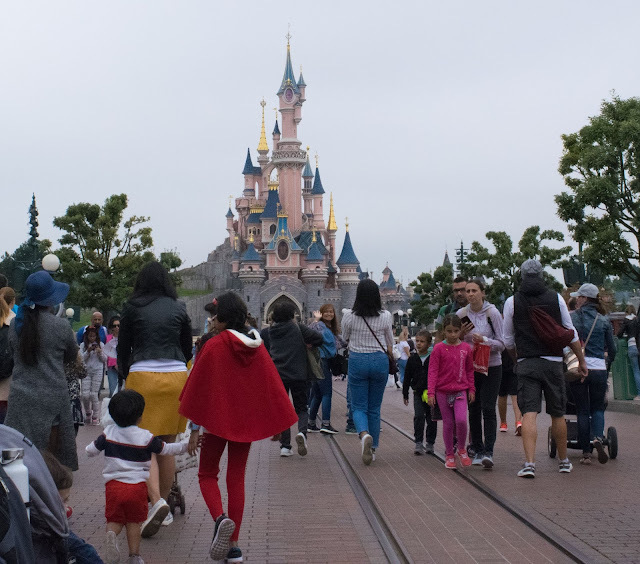 World of Disney ended up being extremely crowded, so I would highly recommend looking in shops either when the parade or fireworks have just started. But we still had a good look around and managed to spend a bit of money! 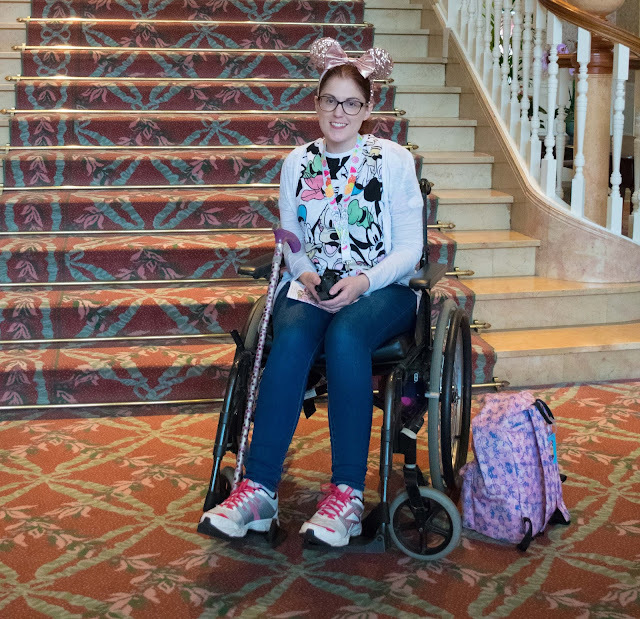 We were both absolutely shattered at this point, so it was time to go back to our hotel room and crash out for the night, ready for another busy day in the parks the next day. Check back again soon to find out what we did on Day Three of our Disneyland Paris holiday! And don’t forget, you can also check out my vlogs from our trip on my YouTube channel. 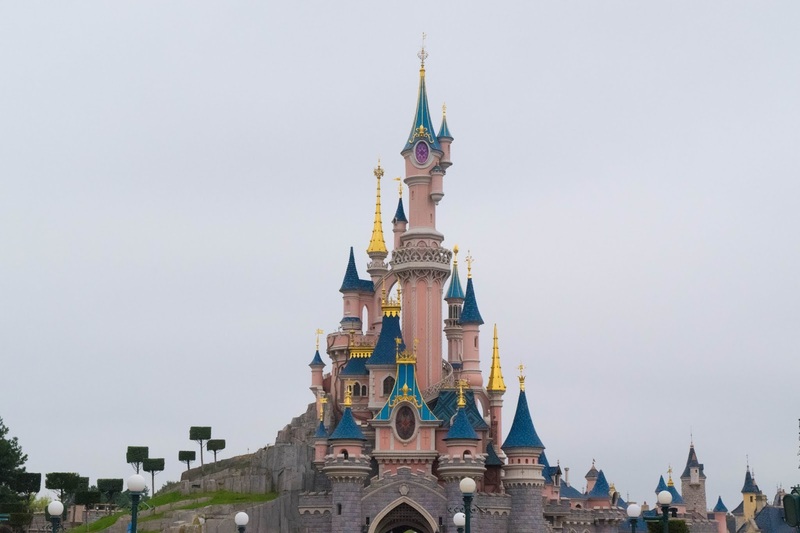 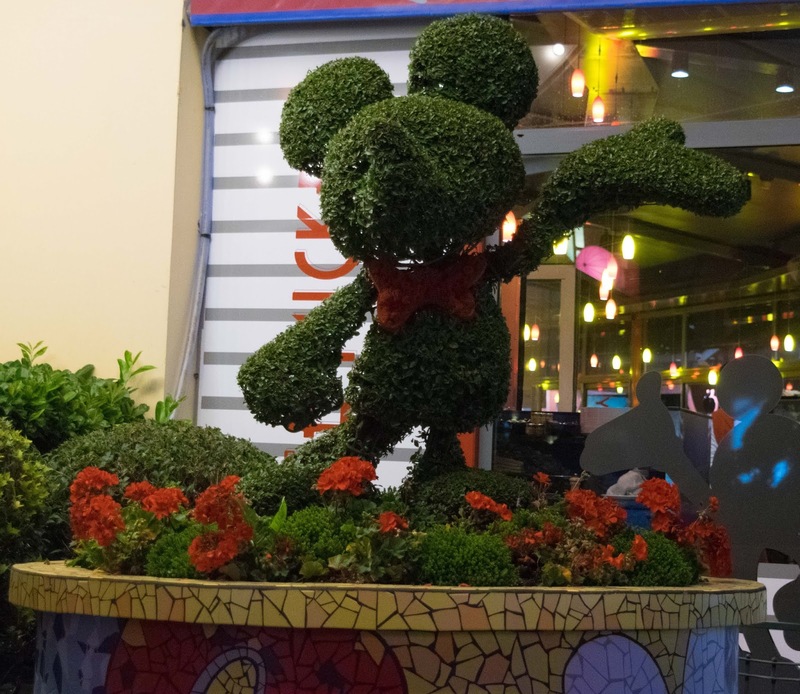 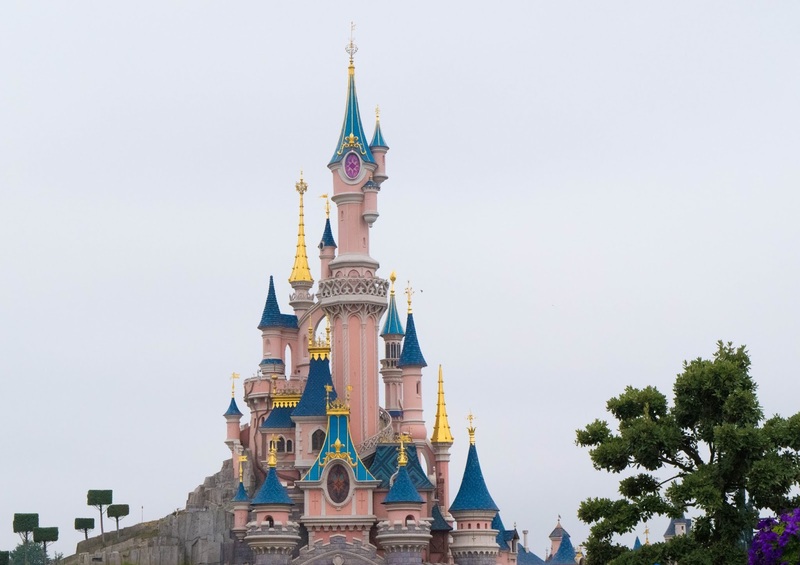 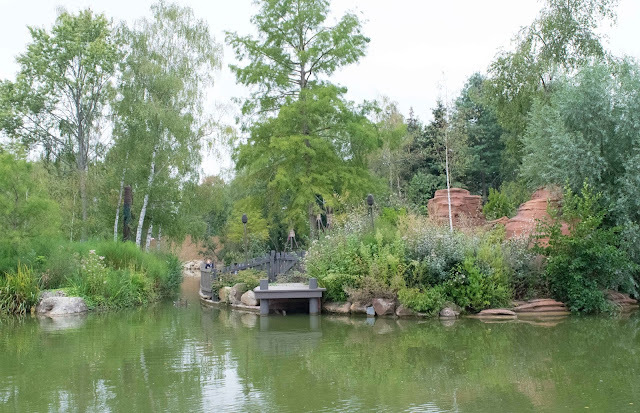 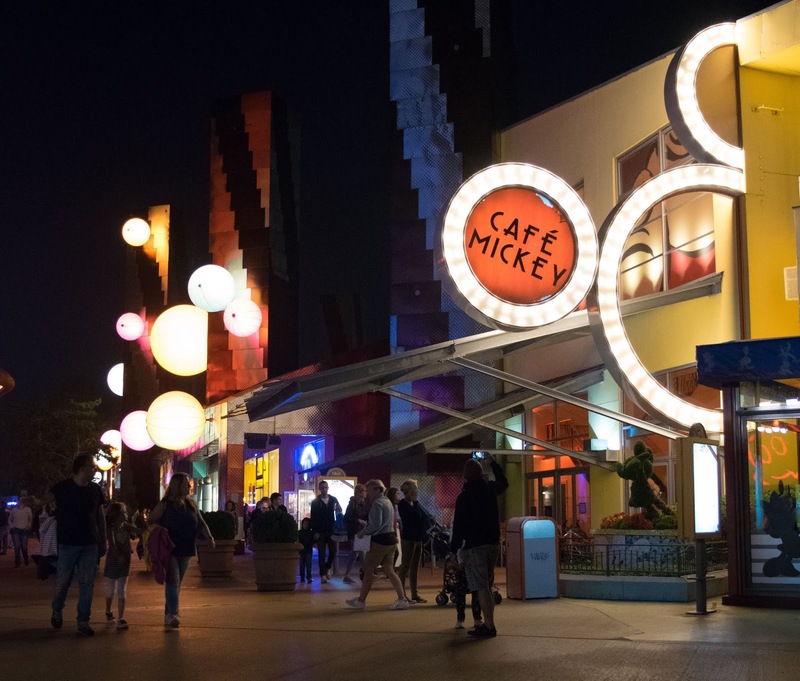 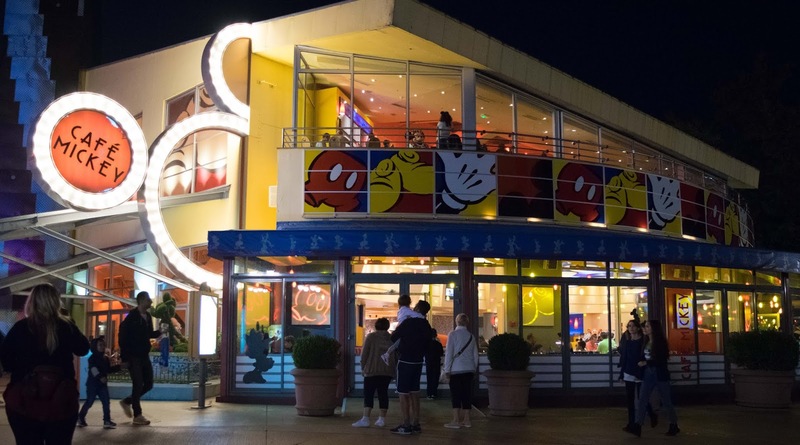 Have you been to Disneyland Paris or are you planning a Disney holiday soon? I’d love to hear your favourite things about Disney!